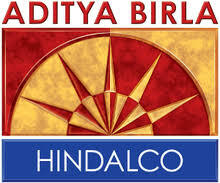 Hindalco India business (Hindalco standalone plus Utkal Alumina) revenue stood at Rs.11,938 crore (vs. Rs.11,044 crore in Q3 FY18), up 8 percent. EBITDA (Earnings before Interest, Tax, Depreciation and Amortisation) at Rs.1,926 crore in Q3 FY19, rose by 4 percent compared to Q3 FY18. This is on the back of supporting macros, improvement in operational efficiencies and better realisations. This was despite increase in input costs, mainly of coal and furnace oil. Interest expense was lower by 12 per cent at Rs.477 crore, mainly due to re-pricing of long term project loans and loan re-payments. Profit After Tax stood at Rs.713 crore in Q3 FY19, up 47 per cent vs Rs.484 crore in Q3 FY18, driven by higher EBITDA and lower finance costs. Net debt to EBITDA (on TTM basis) at end December 2018 improved to 2.36x from 2.67x at end March 2018. Under its continuous deleveraging focus, the company has prepaid another Rs.1,575 crore in the month of October 2018. Hindalco (including Novelis) delivered a very robust quarterly performance across all its businesses despite the challenging environment and rising inputs cost. It remained focussed on deleveraging, operational excellence, customer centricity and resource securitisation to deliver long term shareholder value. However, rising Aluminium and Copper imports in India continue to impact the domestic market. Given its integrated business model with the focus on customer centricity and downstream strategy, Hindalco is well poised to cater to the entire spectrum of market requirements. Novelis' diverse global footprint and product portfolio and emphasis on recycling, positions it well to navigate near-term global economic uncertainties and growth in demand. Hindalco net sales rose 8% to Rs 11937.74 crore in Q3FY'19 compared to corresponding previous year period while net profit of the company fell 34% to Rs 247.46 crore. Operating margins of the company fell 420 bps to 7.8% leading to 30% decrease in operating profits to Rs 928.19 crore. Cost of material consumed as a percentage of net sales (net of stock adjustment) rose 220 bps to 62.1% while employee benefit expenses remained fell 30 bps to 4.1%. Power and fuel expenses were up 160 bps to 14.5% and other expenses increased 60 bps to 11.9%. Other income fell 9% to Rs 272.65 crore. PBDIT decreased 26% to Rs 1200.84 crore. Interest cost fell 10% to Rs 433.73 crore in current quarters compared to Rs 482.8 core in the corresponding previous year quarter. Depreciation rose 11% to Rs 429.05 crore. PBT before EO a result fell 55% to Rs 338.06 crore. The company had n nil EO expense compared to of Rs 115.29 crore in the corresponding previous year period related to various judgements pronounced by the Hon'ble Supreme Court. PBT after EO was down 47% to Rs 338.06 crore. Effective tax rate fell to 26.8% from 40.3% leading 34% decrease in net profit to Rs 247.46 crore. For nine months ended December 2018 Hindalco net sales rose 7% to Rs 33363.97 crore compared to corresponding previous year while net profit of the company was down 9% to Rs 969.61 crore. Operating margins of the company fell 240 bps to 10% leading to 14% fall in operating profits to Rs 3344.21 crore. Other income fell 22% to Rs 579.46 crore. PBDIT decreased 15% to Rs 3923.67 crore. Interest cost was down 13% to Rs 1268.72 crore compared to Rs 1454.17 crore in the corresponding previous year quarter. Depreciation rose 7% to Rs 1233.46 crore. PBT before EO as a result was down 29% to Rs 1421.49 crore. The company had nil net EO expense compared EO expense of Rs 325.21 crore in 9MFY18. PBT after EO fell 15% to Rs 1421.49 crore. The revenue from the Aluminium business for Q3 FY19 stood at Rs.6,018 crore (vs. Rs.5,345 crore in Q3 FY18) up by 13 percent. EBITDA at Rs.1,286 crore in Q3 FY19, rose 8 percent, compared to Rs.1,188 crore in Q3 FY18, on the back of supporting macros, partially offset by increase in the input prices. The company achieved consistent Aluminium metal production of 324 Kt in Q3 FY19, as its plants continued to operate at peak designed capacities. Alumina (including Utkal Alumina) production was higher at 749 Kt vs 734 Kt in the corresponding period last year on account of better operational performance. Aluminium Value Added Products (VAP, including wire rod) production was 120 Kt in Q3 FY19 vs 123 kt in Q3 FY18. This was lower on account of lower wire rod production during the quarter. VAP (CC rod) production was higher by 59 per cent in Q3 FY19 to 66 Kt vis-a-vis to 41 Kt in Q3 FY18 given the continuous ramp-up of the new CCR-3 facility. The share of VAP (CC rod) in the total sales volume reached 58 per cent in Q3 FY19 vs. 40 per cent in Q3 FY18. DAP production increased by 34 per cent to 76 kt in Q3 FY19 vs 57 kt in Q3 FY18. Overall cathode production was higher at 105 Kt in Q3 FY19 vs 101 Kt in Q3 FY18. Revenues from the Copper segment was at Rs.5,925 crore in Q3 FY19 vs Rs.5,701 crore in Q3 FY18. EBITDA was higher at Rs.431 crore in Q3 FY19, marginally up vs Rs.421 crore in Q3 FY18. This was mainly on account of better by-product realisation and volume. Novelis posted a strong quarterly performance on the back of increased asset optimisation, better product mix and favourable market conditions. Revenues grew 3 per cent to US$3.0 billion, driven by higher average aluminium prices, higher shipments and a favourable product mix. The total shipments of flat rolled products (FRP) was up 1 per cent to 800 Kt in Q3 FY19. It reported adjusted EBITDA of US$322 million in Q3 FY19, up 6 per cent, compared to US$305 million in Q3 FY18. This was mainly due to, higher shipments, better operating efficiencies, with enhanced recycled contents and effective cost management. Novelis reported quarterly adjusted EBITDA of US$403 per tonne vs US$383 per tonne in Q3 FY18, up by 5 per cent. Novelis' net income was at US$78 million in Q3 FY19 vs US$121 million in Q3 FY18, inclusive of a non-cash income tax benefit of $34 million in the prior year from the U.S. Tax Cut and Jobs Act of 2017. Various regulatory approvals for the Aleris acquisition are in progress. It is expected to close in Q2 FY20.